This is the Original softback first published in 2000. No more copies will be produced. to Him and to salvation of the world." "Over the years, I have gradually realized that enlightenment is seeing the same world, but in a different light. It is not seeing different things so much as seeing things differently." In this August issue of the Course in Miracles Society [CIMS] eNewsletter we begin with an article by Robyn Busfield whose first article "Forgiveness is the Home of Miracles" appeared in the June 2011 issue of the CIMS eNewsletter. Robyn expresses this shift in 'seeing things in a different light' as she writes of her 'experience' of looking at the dream of pain and devastation through the eyes of 'Guidance' in her article, "A Dream Imagined". As students of a Course in Miracles we may find sometimes that we want to side-step some of its concepts when they become difficult to rectify with our experience here in the 3 dimensional plane. Especially since our experience so intimately includes the body, with all its physical and emotional pain. Even veteran students find themselves searching for clarification of these perplexing concepts. To give us a glimpse into this book, our issue this month includes a BOOK REVIEW of Jon Mundy's most recent work, written by Reja Janaki Joy Green. As an added delight, the POEM this month was submitted by Jon Mundy called, "Perfect Happiness Now." The DARE TO BE HAPPY series by Daniel Tipton blesses us this month with an amazing article called, "Keeping Things in Perspective". Daniel very poignantly shares his efforts to strike a balance between the ideal and the practical from the perspective of A Course in Miracles. The Question and Answer section this month is by Robert [Bob] Sears and answers the question: "Are there any specific steps that I can take to apply Course principles into my daily living and experience?" YES! "Listen, Learn and Do." Speaking of LISTENING, Sun~Rose listened for GUIDANCE from Elder Brother specifically regarding forgiving the seeming unforgivable and received this very compassionate and loving Response. Also, we have DAILY scribing by Sun~Rose of GUIDANCE from Elder Brother on each and every DAILY LESSON, appearing on our Web Site and mailed each day to Course students who have joined our mailing list. This year there are two Lesson Lists to choose from depending on which Leap Year schedule you are following. [To JOIN our mailing list, please go here]. We also want to remind you to visit our BLOG which has a wealth of information regarding the Course in Miracles COMMUNITY including links to videos, music, radio stations and more. One of the main pages on the CIMS Blog is dedicated to "The Spirit Light Outreach" program founded by Joe Wolfe. 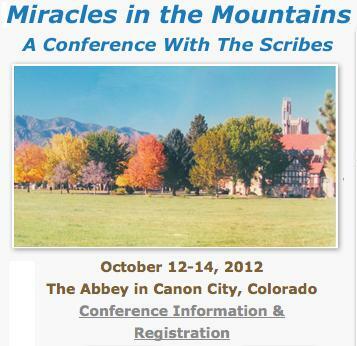 This program is facilitating the shipment of copies of A Course in Miracles to prisoners who have requested them. Currently they are in need of funds for POSTAGE. If inspired to give to this worthy endeavor, please click here. This newsletter is provided as a courtesy to our friends, customers, and business associates to keep you updated on ACIM related issues, to provide articles of interest to Course students, and to share information about events and other topics of current interest. *CIMS Newsletter BANNER created by Seth Hoerth and Reja Joy Green. I look back at my journey with A Course in Miracles, and I realize just how far I have come. A little bit of willingness has brought me a long way. My life has taken many twists, many turns. And today I watch as it levels out - balances out. Just what I had hoped for, more peace, more balance. However, it has little meaning today. Though I appreciate the balance and newfound peace, this change, this shift, has little meaning. That is how my life has changed. Much of the meaning I have given to this world has fallen away. I still get a shake up at times, to remind me to keep forgiving and keep moving toward Home. But each shake up is always received in appreciation today. I realize it is a good thing. It's an opportunity to continue undoing the false self. In light of my newfound peace and balance, I give full testament to Holy Spirit - my Spiritual Self within. I look back at all the twists and turns that brought me to where I am today and I see Holy Spirit there every step of the way, beckoning me, calling me, and encouraging me. Sometimes the Voice flows directly from within, and sometimes seemingly through a brother. Holy Spirit has never left me stranded. But then I made the choice at some point to no longer leave the Holy Spirit stranded also. A mutual agreement. One that had to be met. It was God-written. Holy Spirit met His part of the agreement when God summoned His role in the atonement. He had been calling to my frightened lost soul ever since. My part in the agreement was met a number of years back. I heard the calling and I listened. For the first time I really listened. I stopped in my tracks, and began to talk to this Voice that finally got my attention. It was like a celebration within when I came to realize there was a connection to an Inner Self, aka Holy Spirit, that I had been ignoring all this lifetime. A part that delivered God-knowledge 24/7. What a trip. Here I was thinking I had it all figured out. And along came my relationship with Holy Spirit, and then, in time, I came to realize that I truly knew nothing! The "me" that I knew for this lifetime suddenly became transparent. I could see right through this ghost-like self. I could see right through the mistaken beliefs. I could see the innocent self. The fraudulent self. Busted! As I looked closer though, I realized how sweet was I, the false I, the one that was so mistaken. A mere belief in its own illusional existence. An innocent mistake; one that seemingly happened. Now with the truth upon me, I see the split-off self the Course talks about. 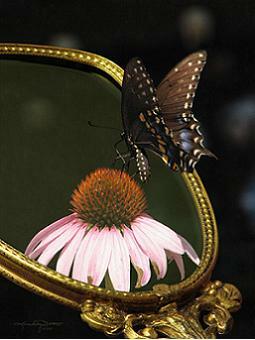 The split-off self is nothing more than an "imagined" self. A self that I believed myself to be, for a majority of this lifetime. It's ok though. I was merely mistaken. Nothing more than that. Now, as time seemingly slips away, there is much "belief" to hand over. Many, many ideas, meanings, labels and tags to hand over. A reinterpretation from Holy Spirit has been provided. It is here. And the reinterpretation is that all these zillions of different meanings that the 'false I' have offered to everything around me, all the objects, all of the forms that seem to exist around me, are literally false. All of it. There is no duality. There is no split off. There is no separation. There are no walls. There is only Oneness. Openness. My walls are down. They only existed in my imagination. My limitedness only existed in my imagination. The day Holy Spirit was able to reveal that to me; that this is all in my mind, all in my imagination, was a moment when I gasped. And then I smiled. And then I laughed. There is no darkness. There is no ego. There is no world. I was April-fooled. And who did this? No-one. There is no-one out there to do anything to me. It was a tiny mad idea I bought into, and didn't buy out of until I finally began to listen to the Voice for God. I April-fooled myself! How hilarious. How cool. How innocent. How funny is that! Thank God for our brother's who take this journey with us. The ones we claim are separate from our self. They are beckoning us to awaken. Every word, every motion is a call to remember. The false-self sees certain words as attack. But the eyes of love see every word as a summons. There is nothing negative here. Only Godness. Yes, that is not a spelling error. Godness. Godness is everywhere. There is nothing outside of us that we look upon. We are always looking at God. God is everywhere. There is nowhere God is not. We need only look to every brother, every seeming separate idea and look instead for God. And the veil lifts. The limitations go puff! And they fall away. Godness is everywhere. When we are willing, God will say hi. It may be in a smile. A handshake. When we look for God, God is all we will see! This is what forgiveness means! *Robyn Busfield is Author of "Forgiveness is the Home of Miracles"
Robyn is a student and teacher of "A Course in Miracles." During her first year of the Workbook lessons, she was inspired to relay her personal journey through the lessons. She shares this personal journey in her book, "FORGIVENESS IS THE HOME OF MIRACLES". Jon Mundy is also author of What Is Mysticism?, Missouri Mystic, Awaken to Your Own Call, Listening to Your Inner Guide, The Ten Laws of Happiness, Money and Jesus, Search for the Center, and Learning to Die. Anyone who has picked up a "A Course in Miracles" [ACIM], perhaps just to find out what it is all about , realizes immediately how formidable it is. Just the size is enough to spark fear and trepidation. The TEXT of the original edition, published by Course in Miracles Society for example, is 617 pages. And that's just the TEXT. The WORKBOOK is 431 pages and the MANUAL FOR TEACHERS another 55 pages. Mercy be! And if that weren't enough to deter the prospective student, after they have opened the book and have read a few sentences, they often remark how the words seem to be arranged in a very different syntax from the usual text book and they can't seem to make immediate sense of them. And so they quite possibly put the book down. I was one of those people. It was 1982 and I was working in the Palo Alto Health Food store in California. The other cashier was an ACIM student and had left her book by the register. I noticed the book with the strange title and proceeded to 'check it out'. I couldn't tell by glancing through the book what it was talking about so when she returned I asked her about it. She seemed embarrassed. She couldn't tell me what it was about or who had written it and so I dismissed it. However, I was fortunate. The Course kept crossing my path several times until I finally I said, 'OK. You have my attention. I'll read it no matter what it is." And so my journey with the Course began, despite the veil of mystery that surrounded it. That was 1983. Today there many prospective students inquiring about this book called: "A Course in Miracles". And we also continue to hear of current students who are just not able to GROK it. Well help is here! Jon Mundy PhD, one of the earliest Course students, has recently published a book titled, "Living A Course In Miracles: An Essential Guide to the Classic Text". Jon was actually introduced to the Course by the scribe Helen Schucman and co-scribe Bill Thetford a year before it was published and remained friends with both of them throughout their lives. 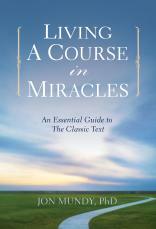 Living A Course in Miracles is one of the best answers to the request for a book that explains the principles of ACIM and their application in a way that can be understood and appreciated. Jon Mundy brings to his discussion of these life changing ideas decades of experience as a minister as well as 42 years experience as a University professor of Philosophy and Religion. In PART I we find the BASIC TERMS and CONCEPTS; PART II is THE METAPHYSICS OF MIRACLES and PART III is LIVING THE COURSE IN MIRACLES: THE PRACTICAL APPLICATION. When I began to read this book I started with "THE PRACTICAL APPLICATION" and then returned to the beginning and read PART I and II only to discover that the beginning material was just as apropos to its APPLICATION and equally as engaging. For example, on page 44 of CHAPTER 5 in of PART I we have the section "STOP IT". Some of you may have seen the hilarious Bob Newhart episode STOP IT http://bitly.com/BobNewhart_StopIT . Bob Newhart is a counselor who tells this women that he only charges $5 for the first five minutes and guarantees that it won't last the whole five minutes and he doesn't make change. He asks her to tell him about the problem that she wishes him to address. After she tells him her problem he tells her two words, "STOP IT". She says I can't and he replies, "We don't go there. Just Stop IT!" Each time she tries to blame it on anything outside of herself he just keeps telling her we don't go there. The solution is, quite simply: STOP IT! Jon adds that "Correction is not, of course, always so instantaneous but the principle remains the same. Not until I realize that I have a choice and I decide to follow the Voice for God, can I indeed make that decision." What brings his book truly alive is how Jon implements these Principles within the full tapestry of his life, using his full repertoire of knowledge and experience as context. 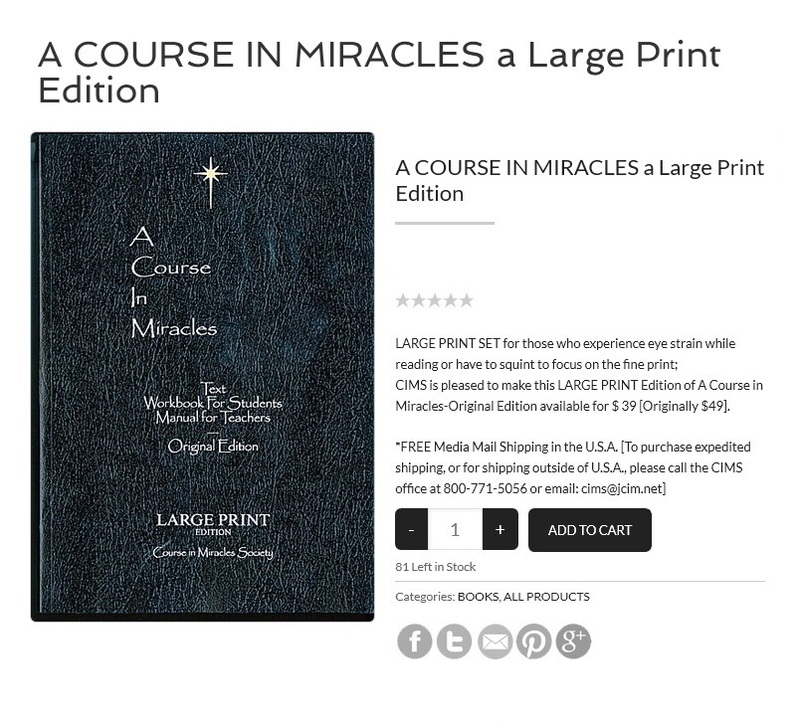 The result is a heartfelt and richly expressed journey through the IDEAS of this incredible tome that will not only help you understand and implement "A Course in Miracles" but one which you will truly enjoy reading. *Rev. Dr. Jon Mundy, PhD is an author, lecturer; minister, and publisher of Miracles Magazine www.miraclesmagazine.org, and Executive Director of All Faiths Seminary International, in NYC. Rev Mundy was a university professor for 42 years teaching courses in Philosophy, Religion and Psychology. He met Dr. Helen Schucman and Dr. William Thetford in 1973. They, along with Dr. Ken Wapnick introduced him to A Course in Miracles over a year before its publication. Helen served as Jon's counselor and guide until she became ill in 1980. *Reja Janaki Joy Green [Reja_CIMS] is one of the founding members of the Course in Miracles Society [CIMS]; She is the CIMS webmaster, newsletter editor and producer of the Daily Lesson Mailings. Reja facilitates the Course in Miracles study group in Omaha, and is in the 2nd year of the CMC Ministerial program. As a registered Yoga Instructor, Reja teaches Hatha Yoga from the perspective of A Course in Miracles and hosts several social media groups for those who share this journey. Reja currently resides with her loving husband Chris Green in Omaha, NE. And now I do clearly see it. And yet my mind beholds it. And so my choice is clear. But in The Mind - Eternal. And vengeance has no meaning. Here God speaks clearly to his Son. And now his Son does answer. For all sisters and all brothers. For all who will declare it. I move now forward Home to God. Now is the last step certain. *Jon Mundy, PhD is the publisher of "Miracles Magazine" and author of, "Awaken To Your Own Call: A Comprehensive Introduction to A Course in Miracles"; "What is Mysticism? "; "Missouri Mystic"; "Listening To Your Inner Guide" as well as "The Ten Laws of Happiness". He is Senior Minister Emeritus of Interfaith Fellowship in New York City as well as international lecturer and standup comedian. Schedule of Jon's Speaking Events is here. With ACIM, I used to take things to extremes or take things too literally. This is not to say that it does not literally mean what it says. It is very adamant that there are no exceptions to it's "laws". In other words, I can't be peaceful or forgiving most of the time and call myself healed. What I am attempting to say here is that, given the fact that I am in a human body, I am automatically still in a state of learning. I am "not there yet" so I require learning on another plane than the goal I am aiming toward. ACIM says that the purpose of the body is to render the body unnecessary. However, while I have a body, the body is very necessary. It is an indispensable tool in my learning. I used to run into trouble because ACIM often takes different perspectives, many times switching between them in a single paragraph. We are given the perspective of our true identities or the ultimate goal, but it also takes our perspectives, or where we currently are in our learning. This has caused me confusion, because I used to feel like a failure if I was not "achieving" the ultimate goal. What I believe ACIM does is it gives me a glimpse into my great potential. I feel that this glimpse into the amazing outcome of all this work is crucial for motivation. I am not given the perspective of a healed one to make me feel bad or like a failure. It is to put things in perspective. It is to get me to say to myself "there is another way". This is the shift in perspective that I believe ACIM works so hard to get us to. Saying the world is not real does not mean I am failing if I participate in the happenings of daily life. It is only to help me see that yes, this event seems to be happening and causing stress (or any unpeaceful feeling), and that is alright. However, there is another way and another choice is available. One of the things that I loved about ACIM right away was that it speaks absolutely and it is completely un-apologetic about its requirements. Yet, it teaches me like a gentle, patient, compassionate, empathetic older brother. It tells me that the curriculum is not negotiable, but I am given all the time that I may need to find my way. I completely understand and appreciate this approach, because I am sure that my sensitive, defensive ego could not handle it any other way. I generally do not like being told what to do, but a gentle suggestion helps me feel like it is my own choice, and allows me to experience with an open mind. This absolute language can be misunderstood. I like to look at my progress as a balancing act. However, what I am trying to do is shift the center of balance to a higher place. I have the perspective of my elder brother but I also have a life on this planet to live and make the most of. The awareness of my true nature keeps things in perspective. It takes the unnecessary drama out of the play, and it removes the possibility of a victim role. I am thankful for this because those things certainly would slow my progress. We have a glimpse of the end result of this journey, but it will not be without set-backs. I have much I still need to experience, but I need to know why I should even bother. ACIM has filled this desire to need to know the purpose of my life. I no longer question my own existence, which can be quite depressing. I know why I am here now. ACIM has shown me what is possible if I stay diligent and allow God's love into my heart and mind. I am not here by accident. I am here on purpose. The key is not to be resentful of where I am in my learning. I am going somewhere, but just am not quite there yet. That is perfectly acceptable. This short scene from the movie "Gladiator" always gets me. I liken it to saying we are on our way home, but we are not there yet...not yet. 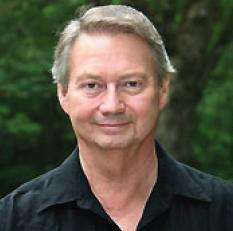 *Daniel Tipton resides in Omaha, NE and is a member of the Course in Miracles Society. He is in his second year of the 2 year ACIM Ministerial Program offered by the Community Miracles Center and he is one of the founding members of the new Miracle Cell Men's Team. QUESTION: "Are there any specific steps that I can take to apply Course principles into my daily living and experience?" ANSWER: If you have been in any of my classes or visited the web site from time to time, you have heard me refer to a process called "Listen, Learn, and Do". Let's spend a little time talking about what that really means, and apply specific ideas and concepts from the Course. Beliefs are a substitute for truth. Your life is governed by what is true, but your experience is governed by what you believe. You are [totally] responsible for what seems to happen in your life. All dissatisfaction with your life can be attributed to the difference between what is true and what you believe to be true. A good place to start is to understand what we are listening to, and what we should, or should not, continue to listen to. From even a cursory study of the Course we know there are two voices that are constantly feeding us information, giving advice or suggesting a course of action in any and every situation or circumstance...the voice for the ego or the voice for God (or whatever name you give to the Idea that is larger than you). There are many images that can be applied to these two voices, and with dramatically different results. Let's take a side by side view. Both of these are representative of a belief system, or the premise for which you base all your choices. Think of it as a circular reference. Your beliefs are the support mechanism for the choices you make. The choices you make are what create your everyday experiences. Your experiences are presently designed to support your beliefs...and around it goes. What we are going to do is examine what can happen when you introduce a new belief system into the process. Here are your system choices. TRANSCRIBER'S NOTE: In His Guidance, He has asked Me to capitalize the pronouns You and We as an acknowledgement of the Divinity of All of Us, an acknowledgement of Equality, an expression of His Love and respect for You. When You see the word 'YOU' capitalized in the Guidance, know that He is not just speaking to YOU, He is honoring YOU. "What do You have to say about the Holocaust and those who say it never happened? And Two: That it did most assuredly occur within the dream, which is, itself, totally unreal. So yes, it never happened, and neither has any baby ever been born. No-one ever rode a spaceship to the moon, nor took a plane to California. Never has a Son of God really been cruel to another. None of the dream is real. So, where does that leave Us but with the necessity to Awaken rapidly. This is the only way that "Never again!" becomes Reality, whether stated by the Jews, the women in the Congo, Blacks whose ancestors were sold into slavery, those in poverty and those in famine, Etan Patz, those at the showing of Batman, relatives of those murdered by Stalin, abused children everywhere. This is a noxious dream. And I speak to You all not on how to fix the world so You can enjoy the dream, but on the necessity to really Love Your Brothers by Awakening. I would not have You stay within a happy dream just as You would not stay indefinitely upon a ladder, near to the top, but just not quite at Your destination. There is so much resistance to Awakening put up by the ego, for Awakening is but the end of the ego, and rightly so. Dear Brothers and dear Sisters, You are so much more than an ego. Would that You could see Your loveliness the way I see it. You will not lose You when You Awaken. You will gain Your Self. And I promise You that You will Love Your Self, for You are infinitely lovable. Would that You could see Yourselves as I see You. You are forever good and lovely. Waking up is both fun and exciting. Never will You be bored! I promise You. Let Us speak of the promised land. What is it and where is it? There is no map to get there for it is everywhere. It is Your consciousness and the use to which You put it that makes Your experience a Heaven or a hell. I know You know this theoretically. Now let's make it real. What is consciousness to You? A thing within Your head that You call a brain, or is it a mind unlimited by a 'material' condition of 'matter' whatsoever. Consciousness is but the substance of the Universal Love. Well, then, what is body but that which does identify You. And what is its substance but the Consciousness of God, as well. God is but Love, Therefore, so is the entire Universe. Imagine always feeling safe and loved because You are. This is what awaits You. It is so simple: allow the Holy Spirit to Be You. Step back and defer. Let Him/ Her Be You. She is already! Be Your Self again. Such amazing happiness awaits You. 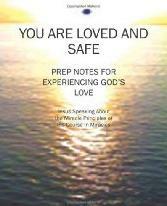 *Sun~Rose is the scribe of the book,"YOU ARE LOVED AND SAFE: PREP NOTES FOR EXPERIENCING GOD'S LOVE." 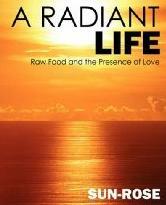 She is also author of,"A RADIANT LIFE: RAW FOOD AND THE PRESENCE OF LOVE". "Journey Beyond Words", "The Other Voice", and "The Script is Written"
is now available and ON SALE! Gently remember the Daily Lesson. Gentle chimes sound to alert you when your timing period is finished. Volume control wheel allows you to turn the sound all the way down to silence. Can be used as a stopwatch too. Stand / clip / magnet back. A Course in Miracles to those who cannot afford it. We want this to be your newsletter. Please write us with your comments and suggestions. Tell us about your ideas for articles and book reviews that would be of interest to our readers. Share poems and music and art! If you have written something that will be of interest to Course students, we would be happy to consider it for publication. Contact our editor - Reja Janaki Joy Green - reja-joy@jcim.net. CIMS is a section 501(c)(3) nonprofit corporation, and donations are tax deductible. ALSO, by means of your will or other estate plan, you can name "Course in Miracles Society"
as the beneficiary of a portion of your estate, or of particular assets in your estate. In this way, you are honoring your loved ones while also providing critical support to the extension of LOVE.